Lenovo has created their own version of the Amazon Echo, and it has been unveiled at this years Consumer Electronics Show. The Lenovo Smart Assistant is the company's first entry into the smart home market, and interestingly, it's actually powered by Amazon's Alexa voice assistant rather than a half-baked proprietary solution. 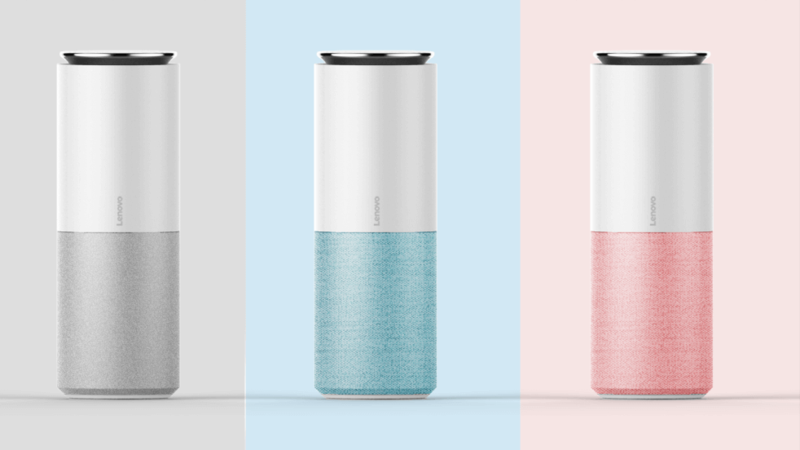 The Smart Assistant is a fairly uninspiring cylinder that will be available in multiple colors, but on the inside it's kitted out with eight 360-degree microphones that support noise suppression and echo cancellation. Lenovo claims the Smart Assistant can understand voice commands from up to 5 meters away thanks to this microphone array. In comparison, the Amazon Echo only has seven microphones. Like the Echo, the Smart Assistant can play music through its built in speakers. The standard model comes with a 5W tweeter and a 10W woofer, although there will be a Harman Kardon edition that improves the sound quality through an additional 2-inch sound cavity. The best aspect of the Smart Assistant is that it works with Amazon's existing Alexa ecosystem. There are many complementary smart home devices and services that already integrate with Alexa, so buyers will have access to everything an Echo can do from the moment they set up their Smart Assistant. With Alexa now established in the market, it would have been a mistake for Lenovo to create their own smart home service. Joining the Smart Assistant is Lenovo's Smart Storage, a wireless storage box that houses a 3.5-inch hard drive. The idea here is the Smart Storage will sync with all your devices, automatically backing up photos, videos, music and documents. You'll then be able to stream video content with ease through DLNA, sort photos with ease through automatic facial recognition, or simply keep your files safe. Smart Storage will be available in 2TB and 6TB variants. The Smart Assistant will hit the market in May for $129.99, or $179.99 for the Harman Kardon edition. The Smart Storage will be available at the same time starting at $139.99, presumably for the smaller 2TB model.